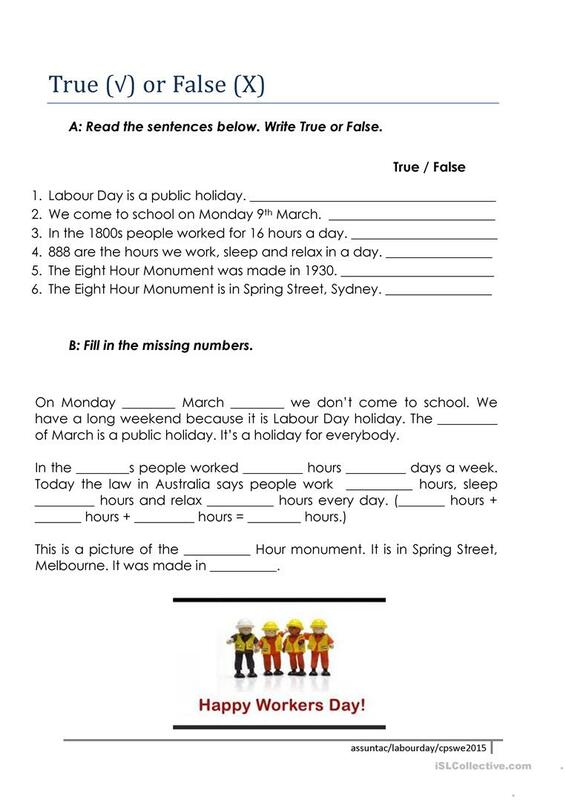 This is a very simple version of the Labour Day worksheet already on my resources page. I made it especially for my Preliminary students. Focuses on numbers more so than facts so my students were able to understand the idea. The present downloadable printable is intended for elementary school students and adults at Beginner (pre-A1) and Elementary (A1) level. It was designed for enhancing your pupils' Reading and Writing skills. 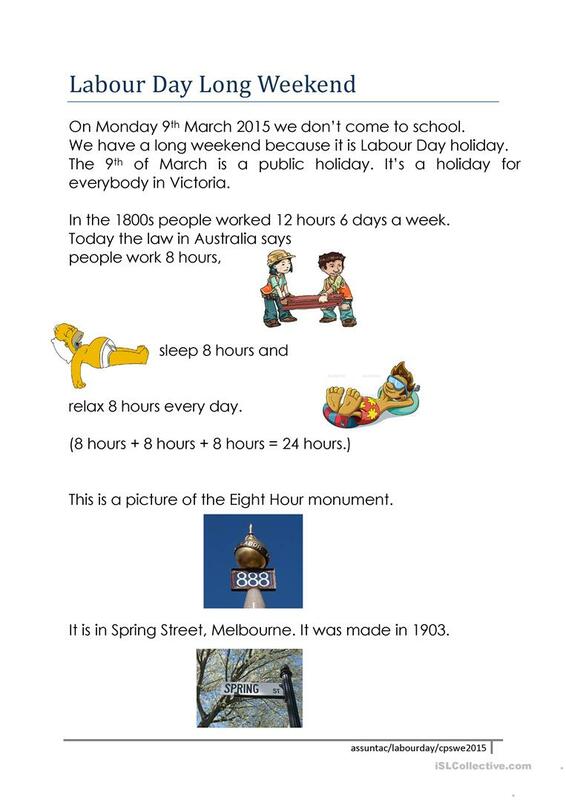 It is about the vocabulary topic of Holidays.